Chief River Nursery has over 40 years of experience selling bare root seedlings at affordable prices. Located in Grafton, Wisconsin, the nursery sells trees and shrubs in both small quanitities to home owners, and large quantities for major landscaping and reforestation projects. 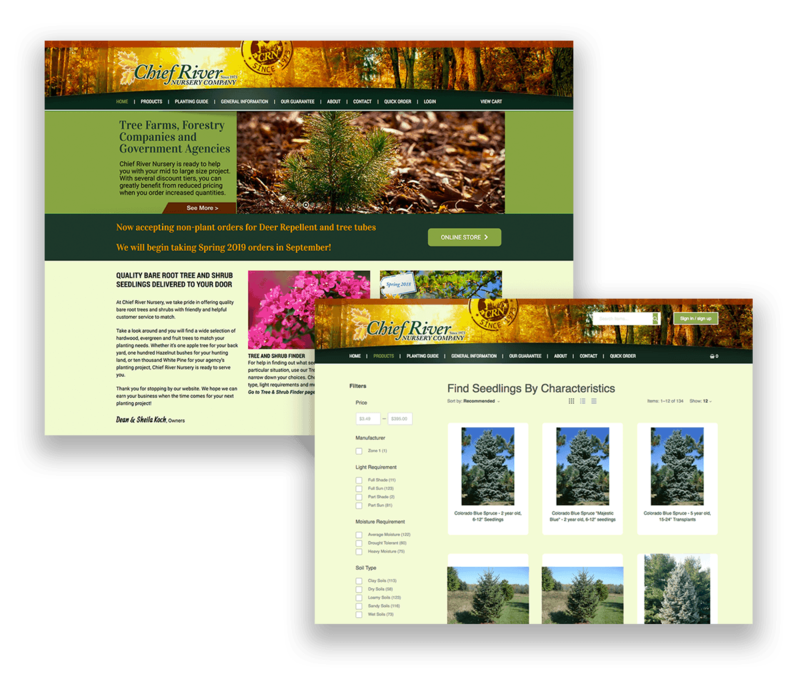 Proper tree selection, e-Commerce sales and great customer services make Chief River Nursury a leader in bare root seedling supply. This site features full e-Commerce capability, with orders accepted all year and shipments made within seasonal windows based on the ideal planting times. One of the key features of the new website is the Tree & Shrub Finder capability. Website visitors can select their planting zone and other characteristics, such as soil type or light conditions, to narrow down a list of appropriate seedlings for their needs. 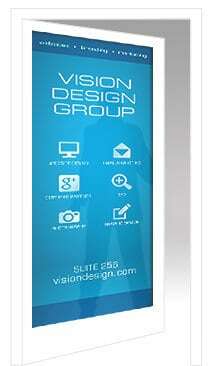 Outdated logos typically use old style fonts and have a very flat appearance. For a progressive company, that may give off a negative impression. Today’s technology offers designers, printers and online users the ability to produce and view logos with more color and depth. An updated logo provides a consistent look to its branded history often without requiring a complete creative makeover. Whether it’s a last minute ad placement or a well-planned series of ads, we work with publishers on behalf of our customers to design ads to meet the specifications and formats required, and ensure the project is approved and submitted on schedule.